Update: The flooding at Van Zile Elementary School continued as of Dec. 1. 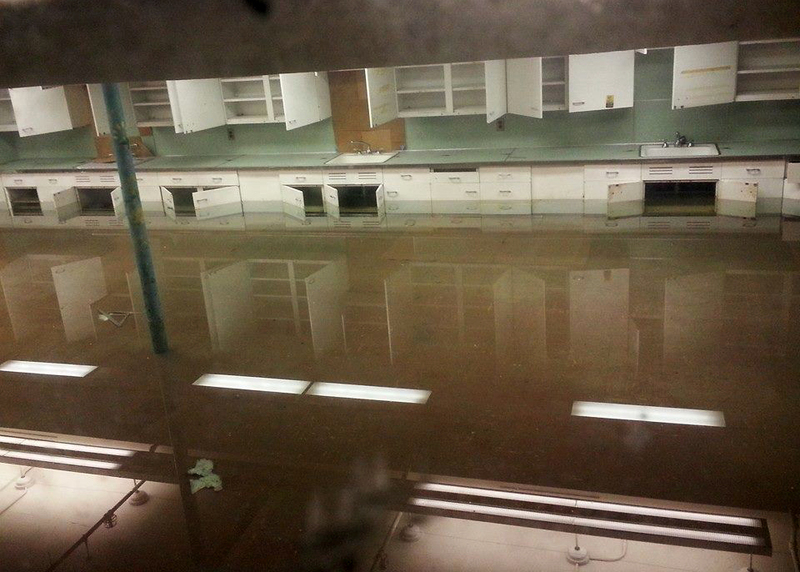 Classrooms at Van Zile Elementary School are submerged in several feet of rising water. 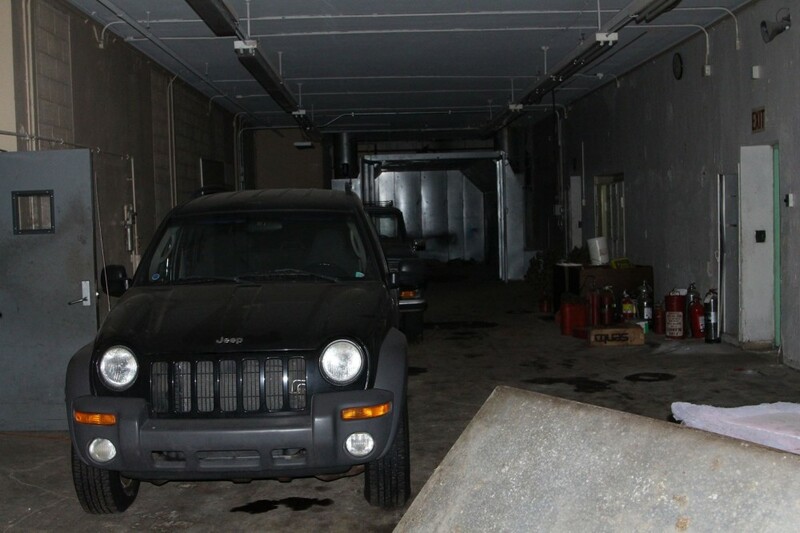 Two cars are abandoned in the hallway of another east-side school. And thieves are gutting vacant schools that were closed to trespass just a month ago. 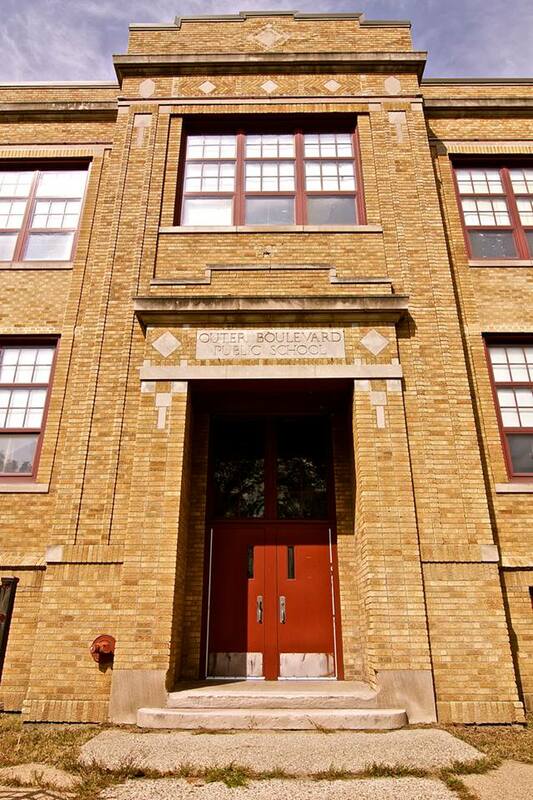 Detroit Public Schools, which is run by the state, has an ugly history of failing to safeguard its abandoned properties, but the problem is worsening at an alarming rate and at a time when Mayor Mike Duggan may soon take over the vacant schools. And no one from DPS wants to talk about it. Dan Sommers III, who has chronicled the demise of the abandoned schools over the past several years, spotted serious flooding late last week at Van Zile Elementary School on East Outer Drive near Mound. The electricity was still on as water gushed unimpeded. Just two miles west, Sommers found flooding and ceaselessly running water at the vacant John Marshall Elementary School. Another nearby school, Mason Elementary, has been hammered by thieves. Sommers and others who monitor abandoned DPS schools said there has been a sharp increase in the number of schools being broken into and ravaged. Zack Blackerby, who also monitors DPS schools, found what appeared to be stolen cars dumped inside Detroit Transition East near I-75 and the Davison. About six years ago, just before the state took over the school system, schools were monitored more tightly. In January, we wrote about the city and DPS ignoring other flooding schools, despite the cost to taxpayers. If all goes as planned, Mayor Duggan will soon have control of 57 vacant schools in exchange for forgiving DPS’ $11.6 million of debt, mostly for electric bills. The deal must still be approved by the state. What happens with the vacant schools has yet to be determined. Check out what happened to Highland Park High School under state control. This Sommer’s guy is like a real life Detroit super hero. In my opinion he rivals the fabled Captain Save a Hoe. “Reverend ” murray, dawg, offer up a prayer. Divine intervention is clearly needed. We can blame the state and DPS, which take care of the school buildings about the same as they take care of the students, but there is also the issue of law enforcement. Neighborhood criminals are this bold, because they know the DPD isn’t coming. We all know. The bankruptcy judge knows. Suburbanites know the police are gathered in downtown and Midtown. The price of creating the Emerald City is high. This is part of it. My Elementary School closed in 2007 and by 2009 it was stripped of the new windows that had just been put in with the voted on bond money and everything else of scrapper value like aluminum,copper,brass,steel,iron.They eventually took all of the iron that held up the seats in the auditorium and left the wooden seats and seat backs.Then they took whole sections of lockers!And nobody saw them doing it!Incredible!My High School,Cass Tech,was subjected to the same treatment.As soon as the schools become vacant,even with the VPS security on the windows and doors,they become fair game.The windows are not smashed out and the aluminum taken,no they are dismantled,and the whole window goes just like it was installed.And those bonds are still being paid for and will be for some years to come.Very sad indeed!!! As sick as it sounds, there is one good thing about the criminal menace thoroughly ruining every structure that falls vacant in the neighborhoods. The loss of the school buildings is devastating, but most of what’s being destroyed belongs to slumlords. Destruction of rental property means there are fewer places for the dopeman and his minions to stay. At the center of the neighborhood criminal network is the dopeman. Every criminal has a relationship with him. They actually wave, holler, and run out to greet him when he makes his daily appearances. The DPD isn’t coming. It can’t see the dopeman anyway, which is why we should be discussing the significance of alleged warrantless narcotics raids. So the schools were renovated with new windows with bond money, then they close. A new bond passes in 2009 to renovate and build schools. Remove the like new windows from the closed schools for the new bond work. Wonder who the contractor was and where the windows came from. Those windows were probably made,installed and then removed by the same company.Sad situation for the tax payers that still have to pay for the voted on bonds.Some were voted on in the 90s and the one in ’09.Paying for something they will not get any use from because the buildings are ransacked!